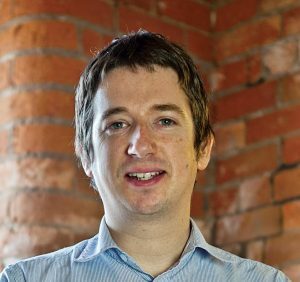 Manchester Creative Digital Assets (MCDA), the new company responsible for managing and developing The Space Project, The Sharp Project and One Central Park, has appointed a new financial director. Rob Page will be responsible for all financial aspects of MCDA activities, leading the newly formed financial management team for all three assets funded by Manchester City Council, supporting the planned expansion of the business and co-ordinating financial control and reporting throughout the group. This follows the recent appointment of Adrian Bleasdale to the position of CEO. Both will start their newly created roles in the new year. Prior to joining MCDA, Rob held various senior finance roles within network agencies, most recently as finance director of Cheetham Bell JWT. Susan Woodward, founder of both The Sharp Project and The Space Project and incoming chair of MCDA, said: “It’s great to have Rob as part of the team. He has worked in the creative and digital sector for more than a decade and has an excellent track record of managing the finances of some of the city’s top creative companies.